It’s time for you to Vote Out Loud, Windsor! This article is 3138 days old. October 25th is Election Day in Ontario… and a pivotal day for the future of Windsor. windsoriteDOTca is part of a project called Vote Out Loud, a simple campaign with zero political affiliations and a clear mandate to promote the cool factor involved in voting in this autumn’s municipal election. What ward do you live in? What can those running for the positions of Mayor and City Councillor do for YOU as a citizen? Vote Out Loud has been created by internet marketer Tom Lucier, graphic designer Shane Potvin, web designer Toby Leftly and Owen Wolter of windsoriteDOTca, officially on behalf of the City of Windsor to promote voting to younger people and simplify the voting process so much that you will be able to walk into your local polling station on October 25th and know exactly what to do. In early October, we’ll be publishing interviews with candidates running in the Election, and they will be answering some of the questions you really want to hear. 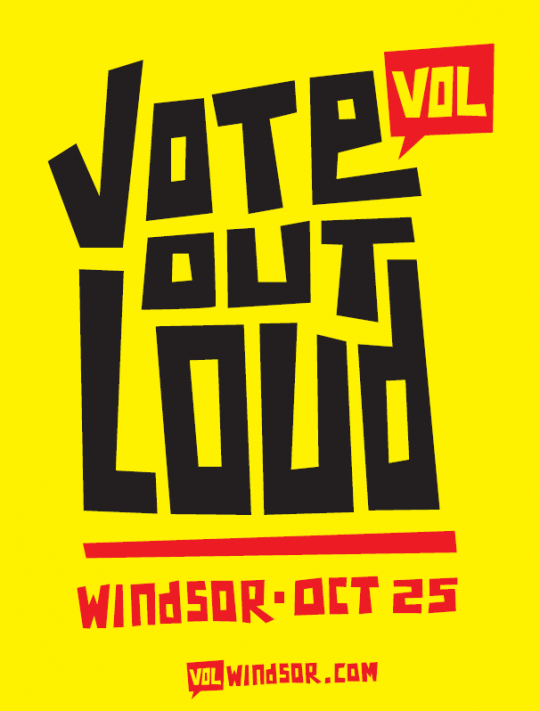 Check out Vote Out Loud, at http://voteoutloudwindsor.com and stay tuned to windsoriteDOTca and Vote Out Loud for much more on how you can feel empowered to make Windsor the greatest place in Canada.